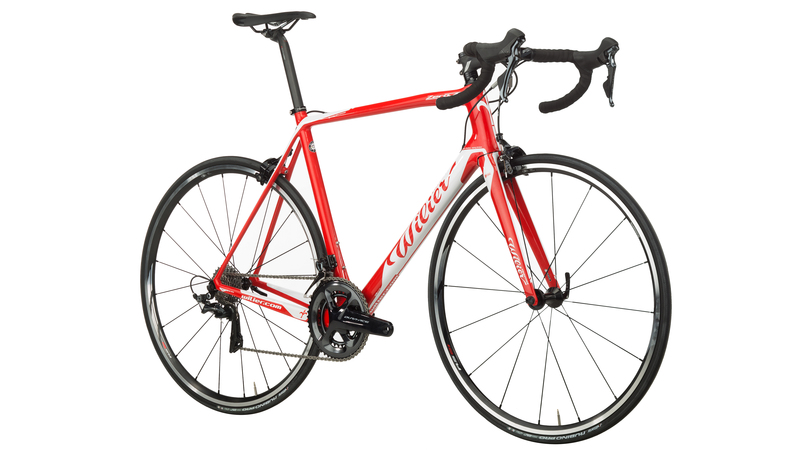 The Zero.7 is the lightest bike Wilier has ever made. With an integrated fork for increased aerodynamics on the front end and a frame that is under 800 grams, this will be a speed loving, climbing machine. 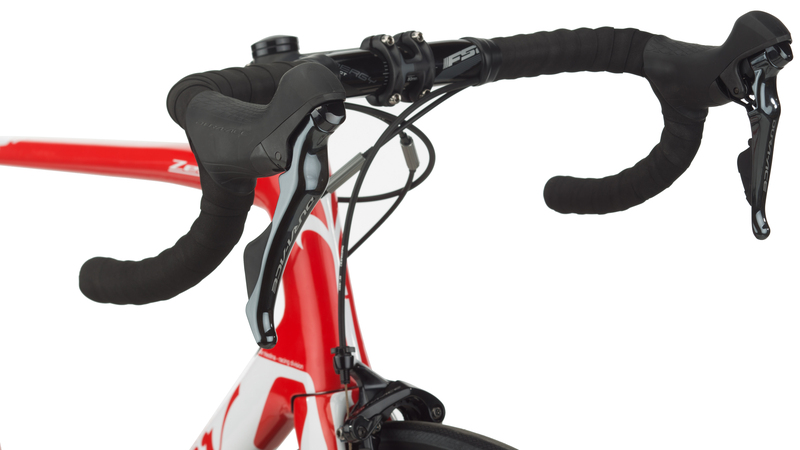 Integrated cables give the frame a cleaner look and the 3D derailleur hanger utilizes an integrated cable port that can be used with either mechanical or electronic groups. The drivetrain is provided by Shimano. 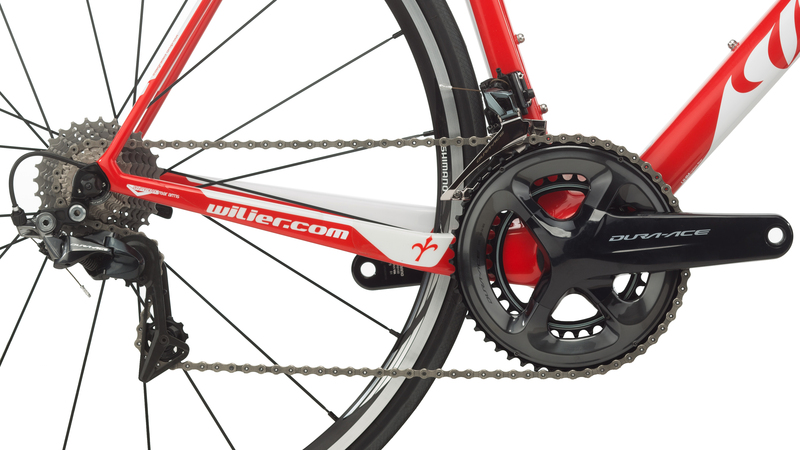 It utilizes a Shimano Dura-Ace 9100 group which includes shifters, front and rear derailleurs, chain, cassette, crankset and brakes. The gearing is compact 50/34 tooth on the front and 11-28 tooth on the rear which will give you plenty of gearing for most of those tough hills. The Shimano RS21 wheels are both lightweight and durable and the Vittoria Rubino Pro tires will keep you rolling efficiently. 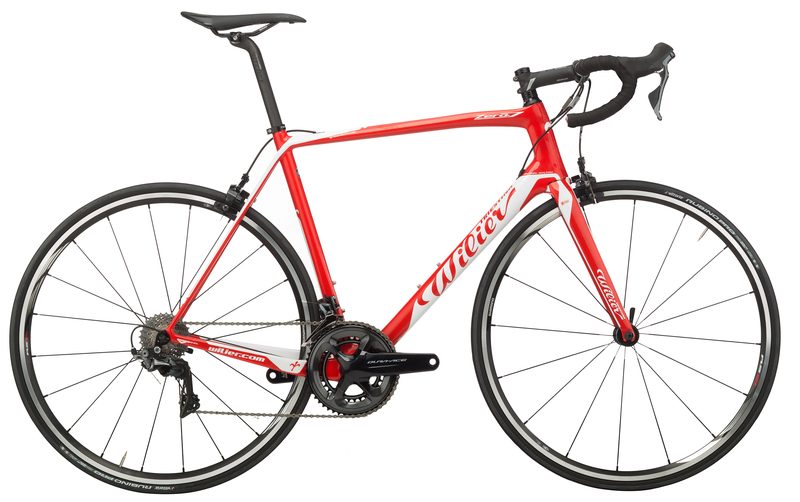 If a lightweight bike that is both comfortable and fun to ride are what you're looking for, then look no further.